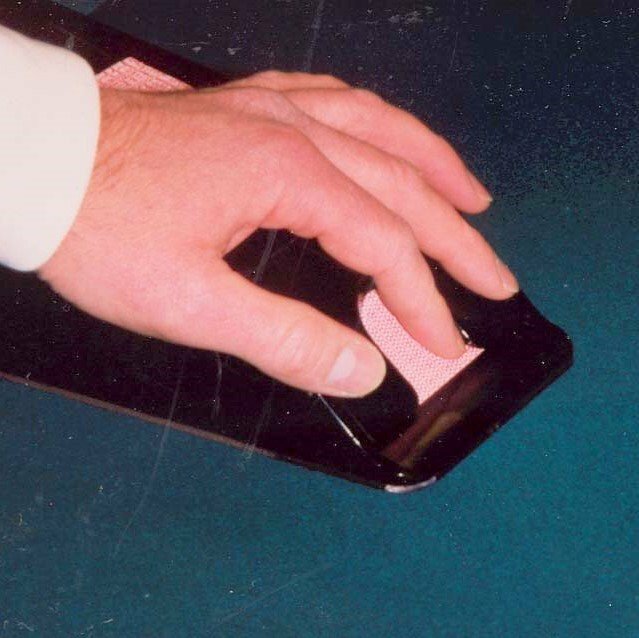 Card Dealing Ergonomics | EXTREME ERGONOMICS INC.
Carpal tunnel syndrome and other repetitive motion injuries (RMI) are triggered by repetitive card extraction. 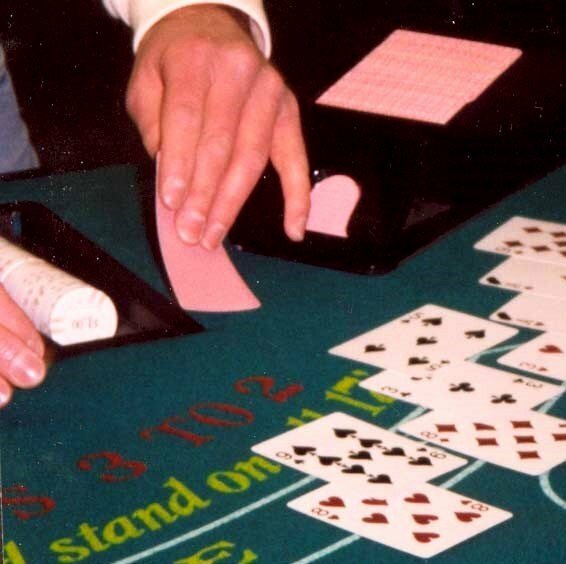 Thumb and index fingers are also continually placed in circumduction to flip cards, contributing to hand and wrist injuries. 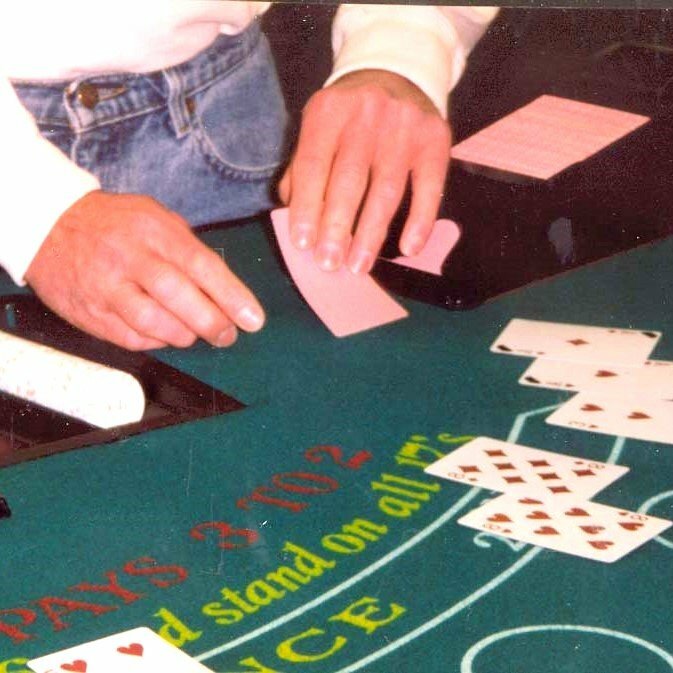 All dealers have differing techniques with similar injuries resulting in the eventual inability to effectively deal cards. 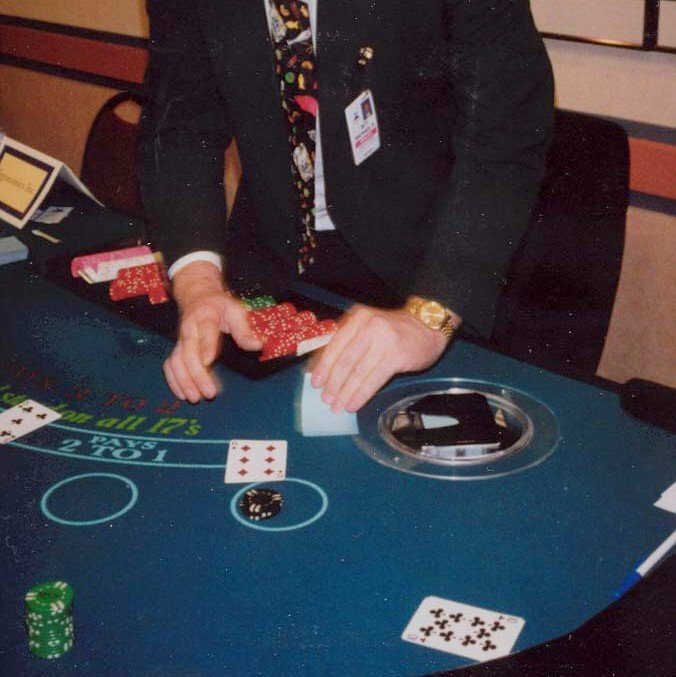 The action of dealing and exhibiting cards had to remain fluid, effective and efficient. 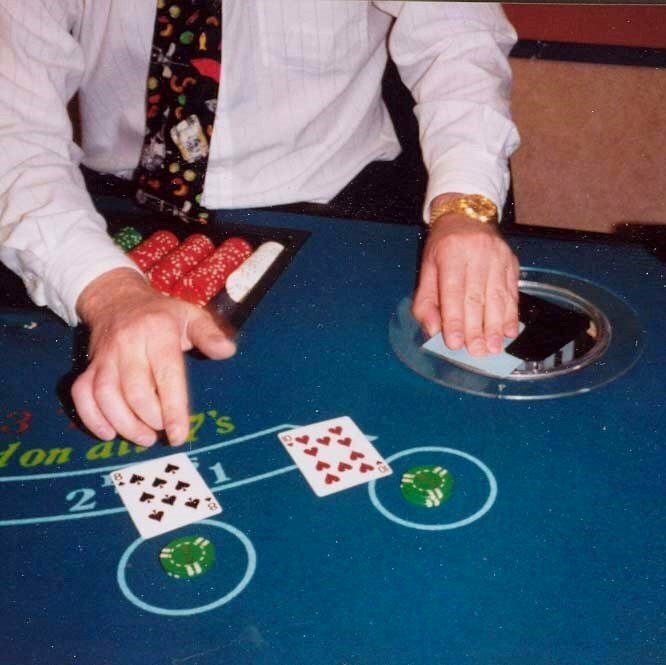 The approach was a radical design of a rotating blackjack card shoe embedded into existing blackjack tables.  The new design allowed card extraction without the injurious hand, wrist or finger postures. Final design completely eliminated adverse card dealing postures. 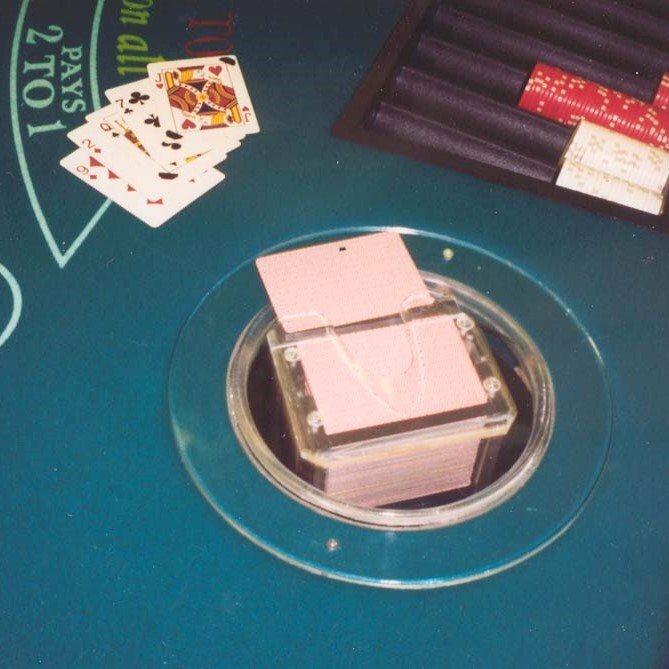 The radical design of rotating the blackjack card shoe embedded into the existing table allows extraction without severe hand/finger postures.